Discussion in 'Motors' started by Conscript, May 7, 2013. I do like the NDs, though if it's anything like the NBs i wouldn't take it that close to the sea, it'd rust away beneath you. Don't worry, it had a very thorough going over with a pressure washer on the underside about 20 mins after that pic was taken. 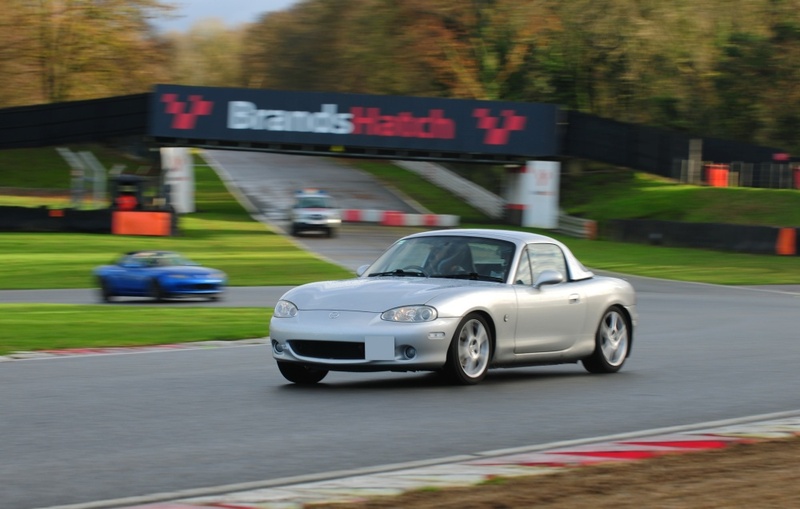 Anyone know the best place to get hold of some LHD headlight units for a 2003 MX5? Maybe MX5Nutz on Facebook if you fancy second hand? There's a few continental members on there. Or maybe they can point you in the direction of some continental suppliers. Things must be cheap over in Europe, some Dutch guy wanted to pay £50 for both my freshly powder coated upper front wishbones with brand new hyper flex bushes. A single new one without bushes from MX5 Parts is £178. I think it's a case of supply. It's for my dad who's got my old MX5 over in Spain and wants to convert it (seems a little daft to me given the cost to register it over there vs the cars value) but he's been struggling to source anything having been in touch with a couple of breakers. Fellow hair dressers, I've finally managed to get the garage nearly clear so I can roll my NA in there (only 6 months later than planned, but hey-ho...). I'm planning on renewing all the bushes as it feels pretty sloppy, whilst the whishbones are out I'm planning on getting them tidied up and possibly powder coated. I'm just debating; is it worth dropping both the subframes and doing the same with them, or is it more trouble than it's worth? Hi all, the side repeater has been ‘lost’ (possibly stolen) from my wife’s MK3.5. I have sourced a replacement but it seems the entire thing including the bulb holder and the termination point from the end of the wiring loom is missing. I am left with 2 metal slip on type connectors at the end of the loom. I can source a replacement bulb holder but there is a white plastic piece that attaches to the two slip on connectors and the bulb holder. Does anyone know what part I should be looking for, I can’t seem to find anything suitable. I can attach pictures of that would be helpful. I've recently joined the curling crew, upgraded from a 208 GTi. This RWD malarkey is rather fun. I really like the colour! I have the same car in black, but the RF version. Love my car great fun to drive around in the wet! One of the best and most involving Nurburgring videos I have seen in a long time. 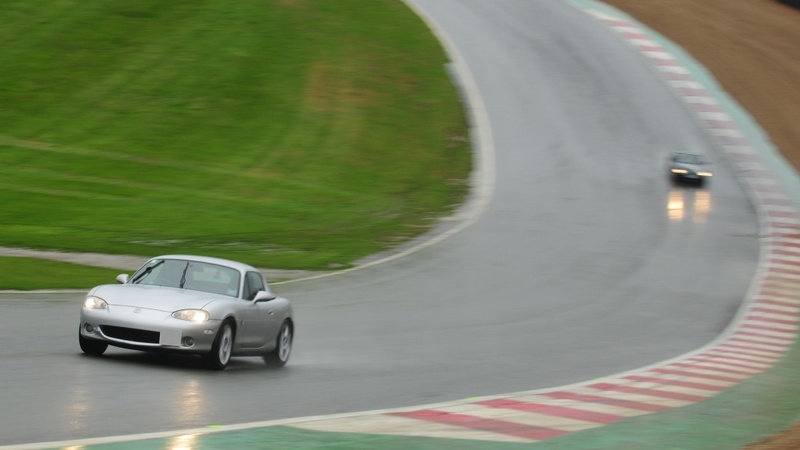 This is why the MX5 can be so much fun. A good driver in I believe a stock MX5 showing what driver involvement is all about. Love it, makes me want to go out for a drive! Hi, potential new owner here. Looking for a fun lightweight car as a daily/weekend car, these seem to fit the bill as I love the light weight concept (currently own an FN2 type R) and really am just looking for an engaging car instead of all powerful. I've had a 350z before so RWD and much heavier, so I can imagine with the light weight and greater feel through the wheel it could be what i'm after. I'm not after something all powerful, having seen the downsides of the bigger cars and what you lose out on. I am also toying with the idea of tracking it at some point, I've never done it before hence going for a supposedly more forgiving and cheaper running car. I'm just after some tips really because these came onto my radar when the MX5 RF came about, and looking into that it's very attractive, but I just wanted to see if the older models were still pretty good and I could look at those instead as a good compromise? All I've heard is that the 2017 models onwards had stripped a lot of weight back and gone back to their roots, so was the previous gen one to miss? Hard for me to comment as I own the fattest MX5 of the lot, the mk3 hard top. I love it though, and feel that the extra comfort that the hard top gives makes it a decent daily. You can do a lot to them to make them fantastic track cars too. Saw this video a few days ago.Been considering various options including a heavy weight M2 but wouldn't mind going back to something relatively light again and trying a convertible (never had one before). Was thinking about popping into my local mazda dealer to see if they had any in the showroom. 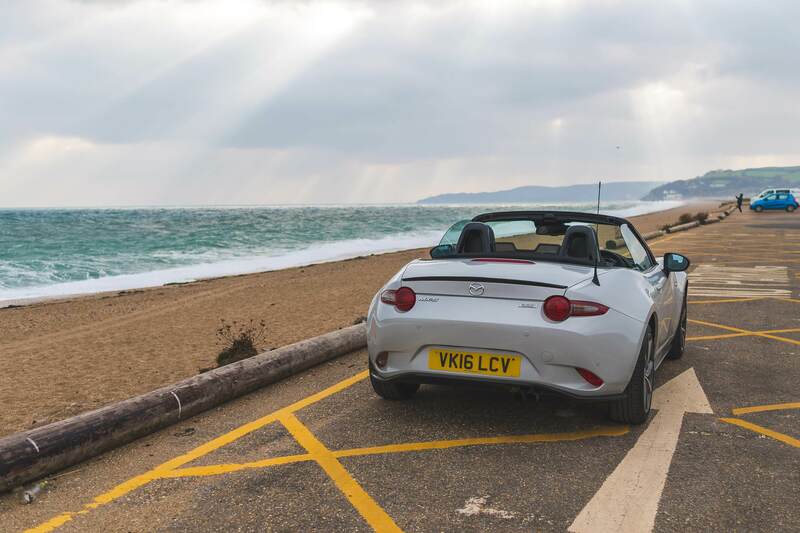 How's the latest MX5 for near 6 footers? I;m 5"11 and a bit although I have longer legs and shorter torso, I think. Also thought about the GT86 but think the MX5 interior looks far better, nice looking exterior and lighter too. Cabin does look cramped though. I'm 6.2 and I'm grand in mine. I don't even have the seat fully back. I've always hated the mx5 but the new one is really nice.. Has a new Supra look but alot better. Will see if I can pop along to the local dealer at the weekend. Really like them in red. Driving an old hand-me-down Toyota as a runabout second car has made me appreciate lightness (800KG in this case).